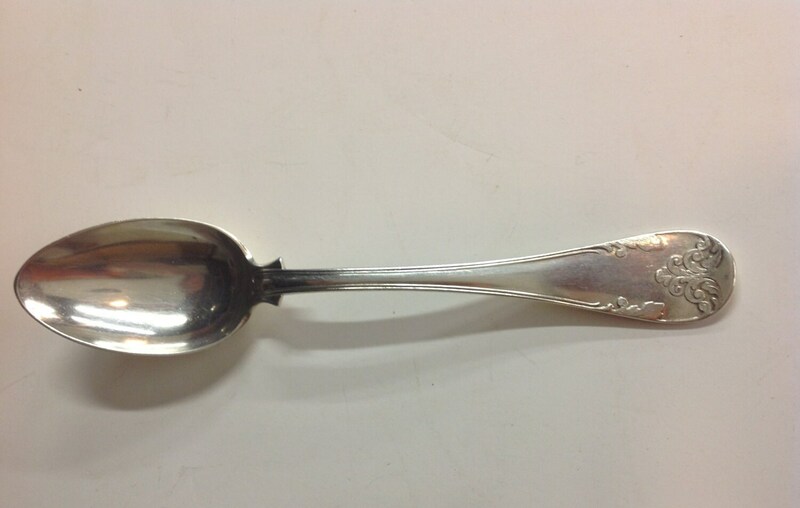 This large sterling silver spoon would have been a wedding gift in 1900. 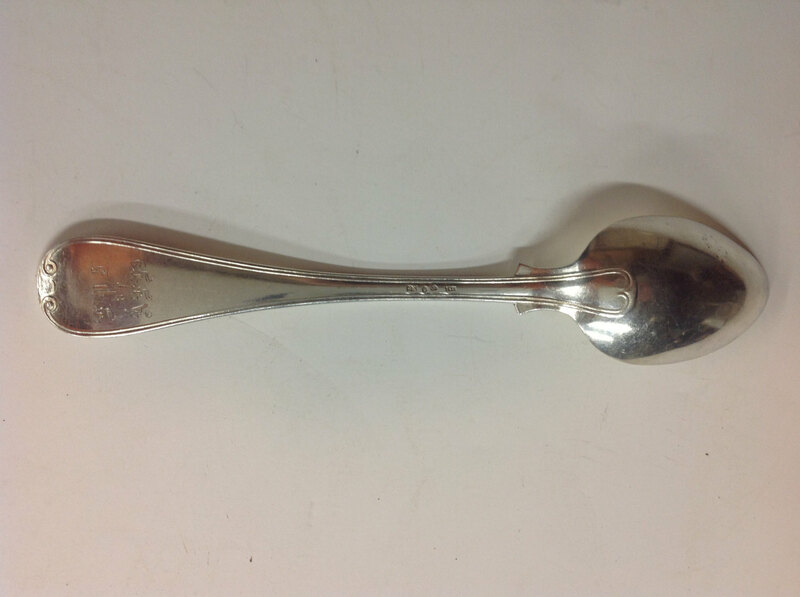 The spoon has nice raised details on front and back with moderate wear. 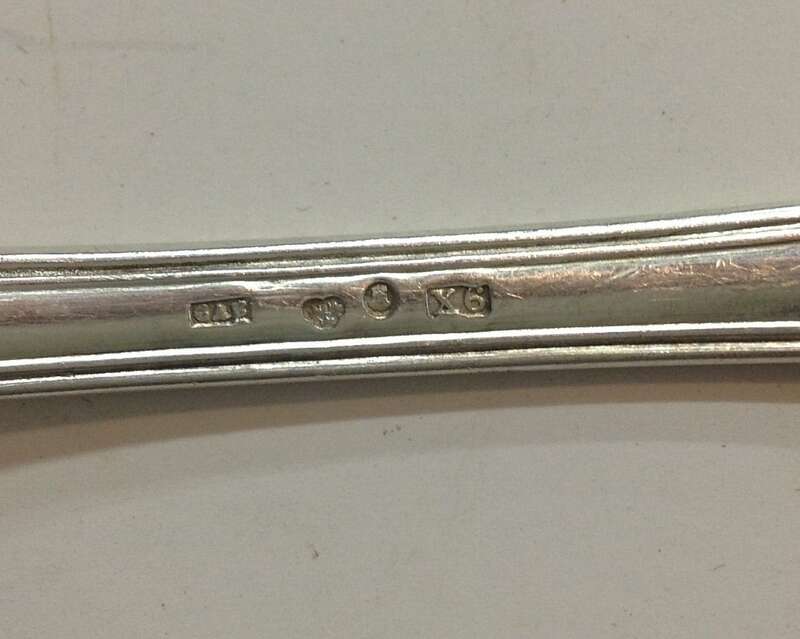 Stamped for Swedish sterling, 1900, and maker mark (GAB, possibly Guldsmedsaktiebolaget of Stockholm). Very attractive. Weight is 63.5 grams. 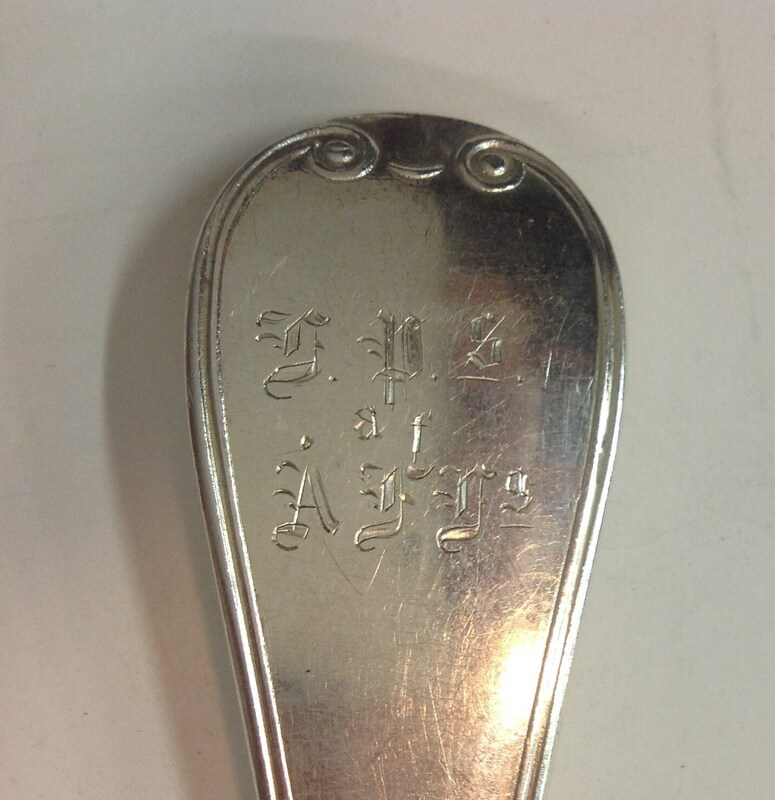 The monograms of the couple on obverse of handle. Length is 8.25 inches.